An international team of scientists performed the first systematic assessment of dental growth and development in an East Asian archaic hominin fossil that is known as the Xujiayao juvenile. The fossil is of a 6 1/2-year-old who lived between 104,000 and 248,000 years ago found at the Xujiayao site in northern China. 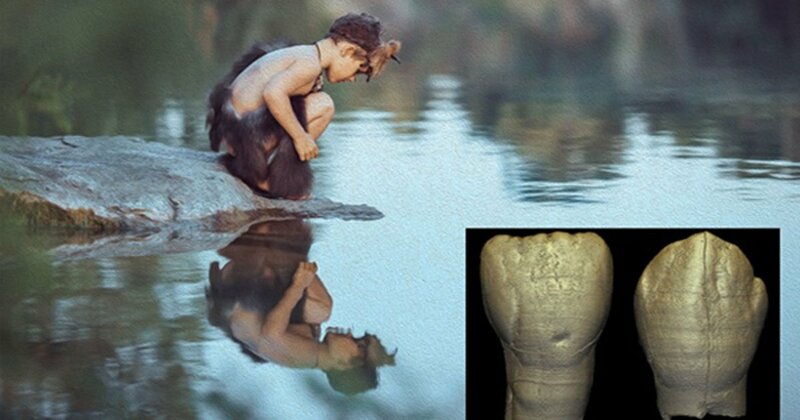 The researchers were surprised to find that in most ways, this child's dental development was very similar to what you would find in a child today, said Debbie Guatelli-Steinberg, co-author of the study and professor of anthropology at The Ohio State University. "The Xujiayao juvenile is the oldest fossil found in east Asia that has dental development comparable to modern humans," Guatelli-Steinberg said. "It may suggest that these archaic humans had a slow life history like modern humans, with a prolonged period of childhood dependency." What Does the Fossil Tell Us? Compared to our primate cousins, modern humans - including their teeth - take a long time to form and develop. Anthropologists believe this characteristic is associated with humans' longer periods of child dependency - how long a juvenile relies on support from a caregiver. What Techniques Were Used to Study the Fossil? "We found that this juvenile was growing up - at least dentally - according to a schedule similar to that of modern people," O'Hara said. The article, originally titled ‘ An ancient relative of humans shows a surprisingly modern trait: Study finds an archaic hominin had modern dental growth." was originally published on Science Daily. Source: Ohio State University. " An ancient relative of humans shows a surprisingly modern trait: Study finds an archaic hominin had modern dental growth. ”ScienceDaily. ScienceDaily, 16 January 2019. It seems that new discoveries in the homo line are popping up frequently. The landscape is littered with failed experiments of evolution or possibly manipulation, whether by nature or by some external agent. Whether it’s God, the gods, or ancient astronauts is not as important to me as the implications for the future of Homo Sapiens – some believe that we may be approaching the ‘singularity’, melding of man with machines, or does AI take over totally? Problem is the article declines to stop with dogma, The tooth is not 104,000 years old. That is a red herring. What we do know is it is a modern tooth and that it belonged to a child. That it fits a modern tooth supports the six thousand yer old creation model and further detsrys the falsity of billiuons of years and molecules to man.